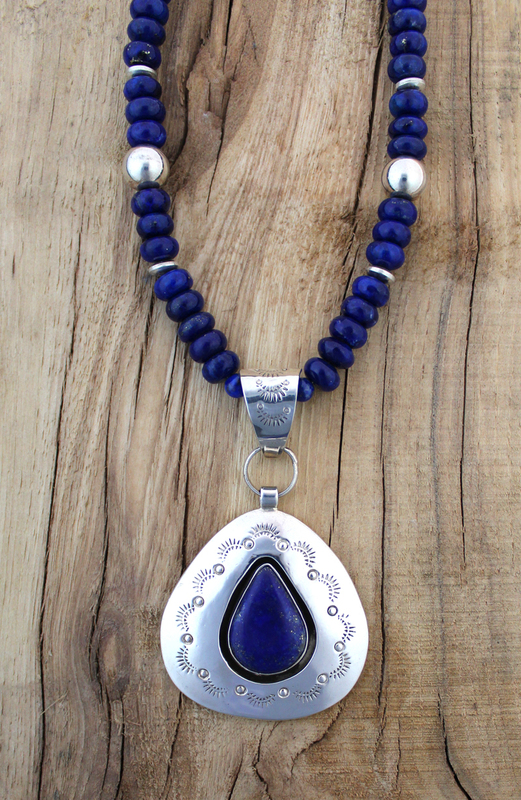 This one-of-a-kind teardrop-shaped Lapis in Sterling Silver shadowbox pendant is handcrafted by General B. Grant in Cherokee, North Carolina. 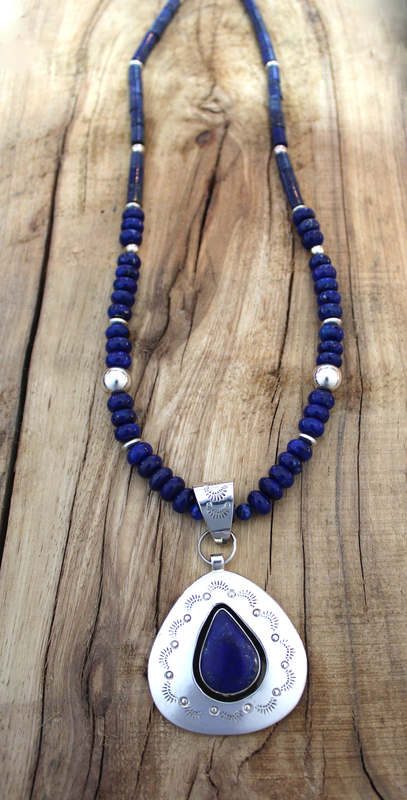 The matching necklace with lapis rondell- and tube- beads and sterling silver beads is made by General's wife Ute Grant. *Pendant can be purchased separately at $950.